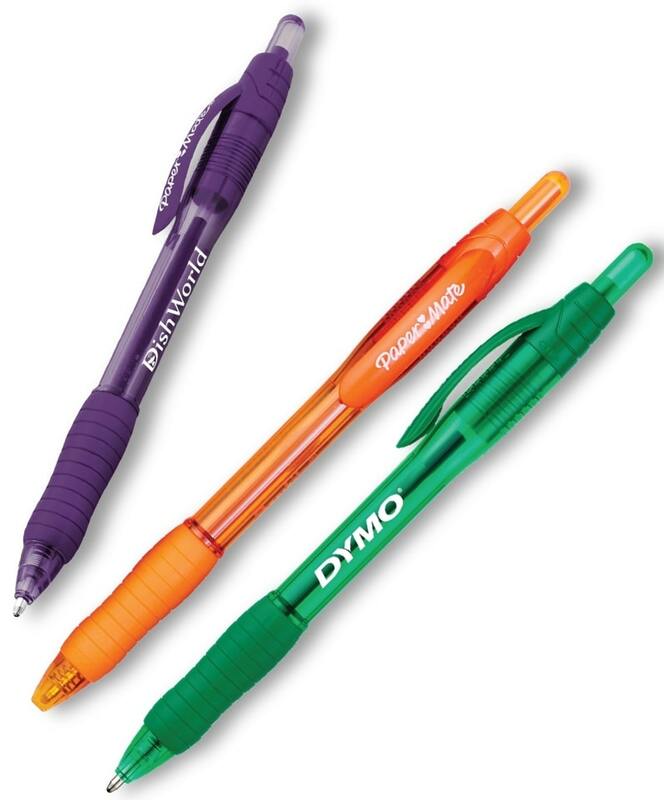 Brand name Paper Mate Pens - Get your logo printed on Profile Pens. Imprinted with your logo, 8 Translucent Colors and contour gripper. Ballpoint pen, bold 1.4 point smooth Paper Mate Black-Blue Ink. Bulk order Profile RT Ink Pen. Delivery 7 to 10 business days. Price includes a one color imprint on barrel 1 1/2" w x 1/4" h.